Are you engaged or do you know someone who is? 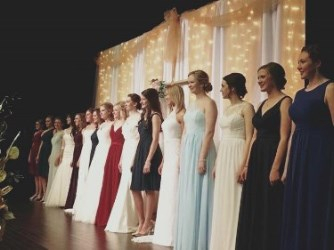 If so, you don't want to miss the 2019 Nebraska Bridal Show. Our show introduces brides to some of the best vendors in the Nebraska wedding industry. We hand-pick our vendors in order to give couples options for each wedding category. You will find everything you need for your big day while enjoying music, drinks, photo booths, prizes and much more! However, the Nebraska Bridal Show is more than just a room full of vendors, it's an afternoon to celebrate while planning your special day with your partner, parents, or wedding party! Admission is just $5 per guest at the door. Interested in becoming a vendor in our show? Please give us a call at 402.363.2675 and we would be happy to send you a contract. Events noted by a * do not require use of the whole facility for the entire date. Rooms may be available to rent prior to and after noted event. Please contact the Holthus Convention Center staff if you have questions about a specific date. 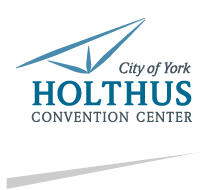 Thanks for considering the Holthus Convention Center for your next event. Please use the Request for Information form to provide us with as much information as possible about your event. This will help us put together an appropriate package to meet all your needs. map Images on this site are not exact representatives of the Holthus Convention Center. They are only meant to give a visual idea of the structure, service and amenities that the convention center will offer upon its completion.